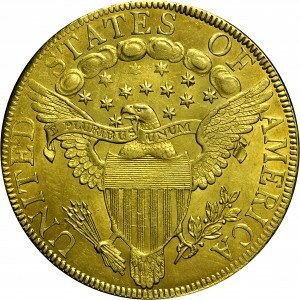 A new obverse die was created with larger stars than previously used. This is the final 1799-dated obverse die employed. The upper left star was rotated in the die, with its southwest ray pointing nearly to center of the adjacent star. This obverse was married to two different reverse dies. This die marriage is a rarity, with only about 15 examples surviving today. 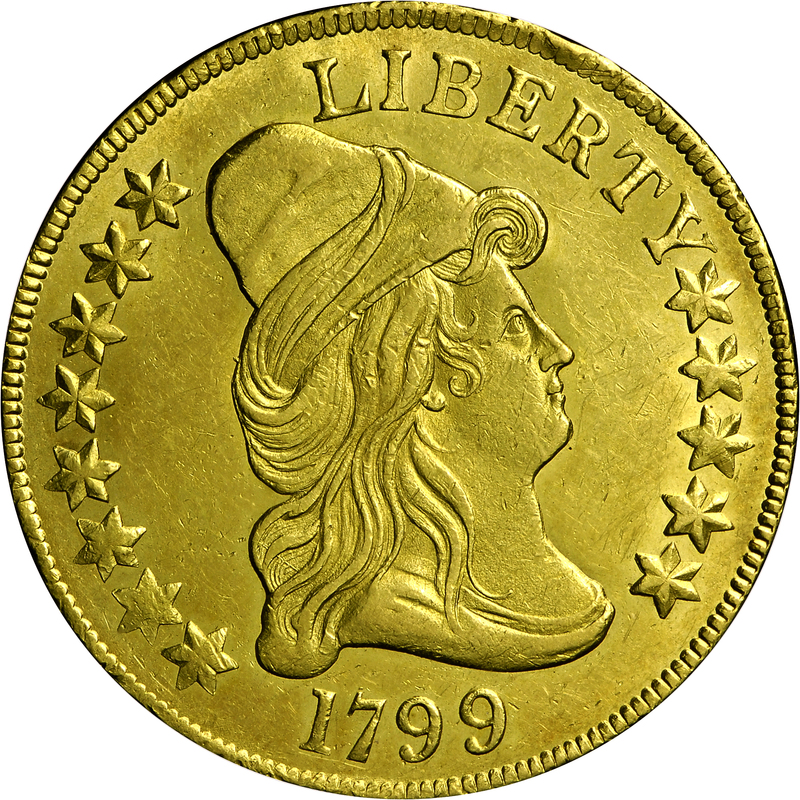 Among these are just four Mint-State coins, including this example from the Bass Collection. 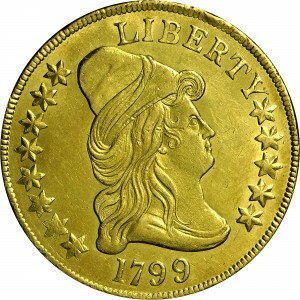 Purchased from New England Rare Coin Galleries, July 10, 1975. "Obverse: Large stars. New star punch. Wide date, numerals spaced 1 7 9 9. Thin curved remnant of a previous 9 above final 9. Star 8 markedly rotated clockwise; stars 9 thru 13 less so. Reverse: A(M) touches two feathers lightly. Last berry beyond right foot of A (distinctive). Star 3 usually weak. Space between clouds below right side of E (distinctive). Top right point of star 12 nearly touched by upper beak, to left and well clear of lower beak. Shield has very short spines at its upper corners (distinctive). Unusual circular 'straw' lines arc across upper half of lower part of shield (distinctive)! Lightly lapped."